Superdry men’s Carbon base layer crew top. 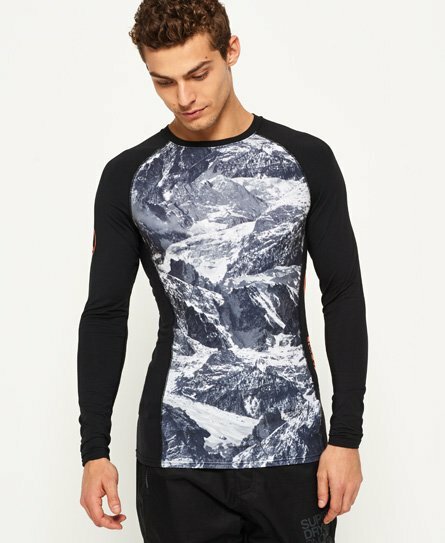 This long sleeve base layer top is from the Superdry Snow collection and is perfect for keeping warm on the slopes. The Carbon base layer top has a reflective Superdry logo on the side panel and is finished off with a reflective Superdry badge on the sleeve.